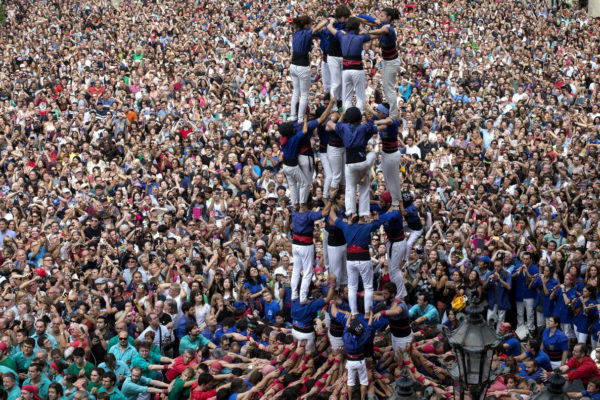 Tomorrow, Barcelona will become a platform for the brightest and long holiday of the year - fiestas de la Mercé. Mercedes, is the patroness of Barcelona, after which every September Catalans organize a celebration, and make it a special scale. Every year the city is chosen sister, which brings to their artists holidays, circus and variety shows. This year is Reykjavik. 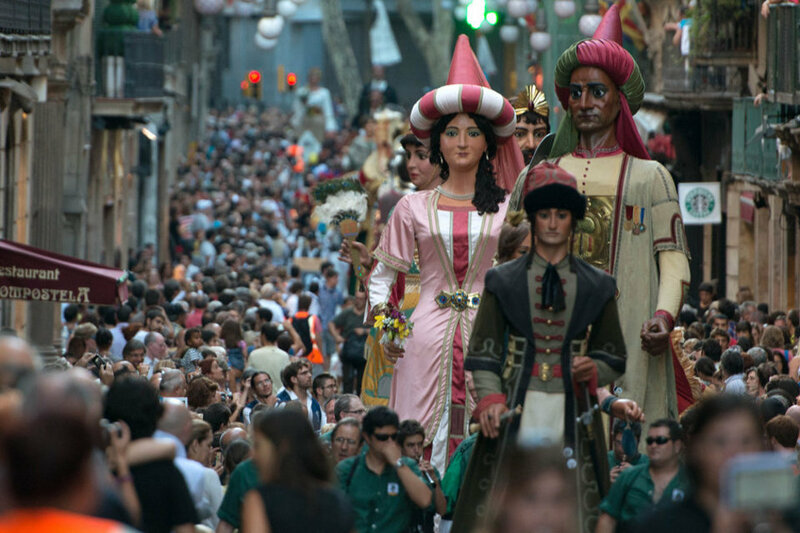 On Friday 22th September at 19-00 It starts from the museum's Palau de la Virreina procession of giant figures. They will move towards the square Plaza Sant Jaume. 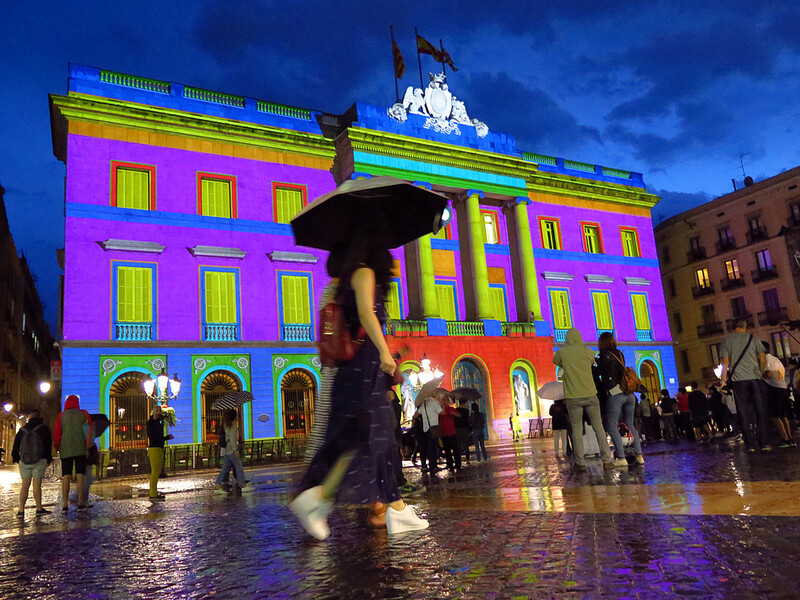 On Friday and Saturday 21-30 on the same area in the Barcelona City Hall will show video mapping. 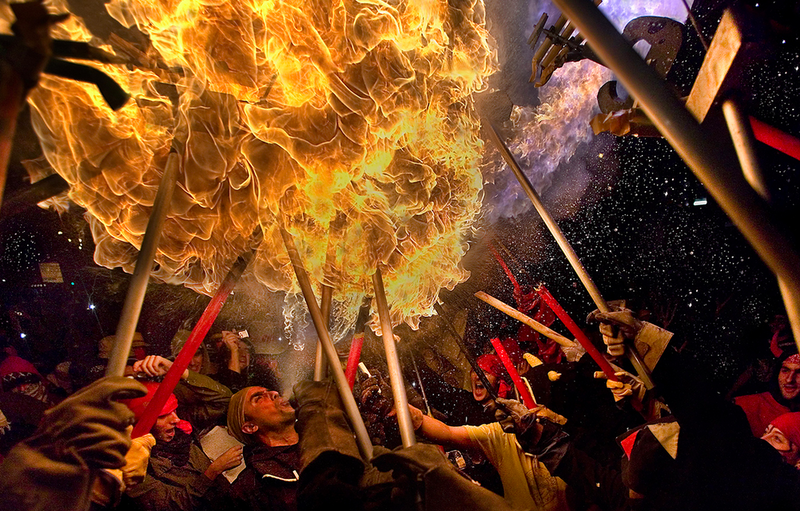 On Friday, 21-30 this area and around the Gothic Quarter begins the procession of fire-breathing figure. 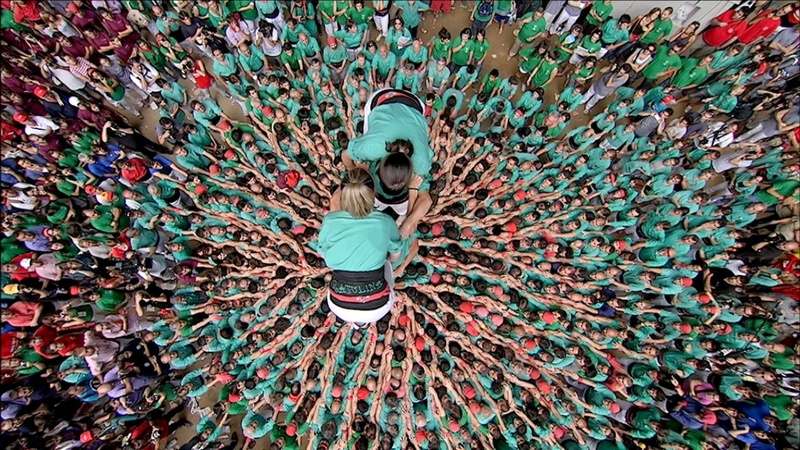 On Saturday 23rd September at 11-30 at Sant Jaume Square will build the tower of Castells people. I advise to come early and take a seat in the front row in front of City Hall for a better view. 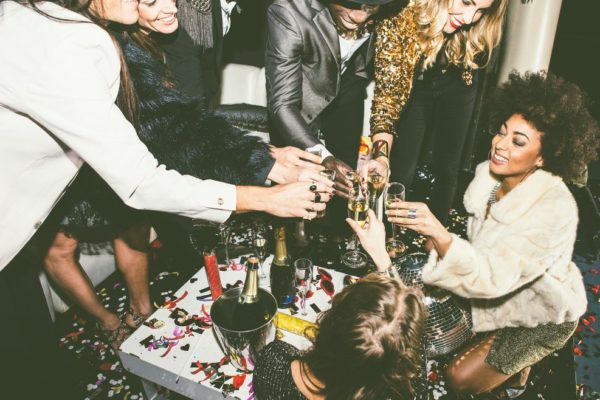 Do not forget the camera or video - is a unique event worth to photograph as a keepsake. But if you can not stand the hustle and crowd, you are here will not be easy. 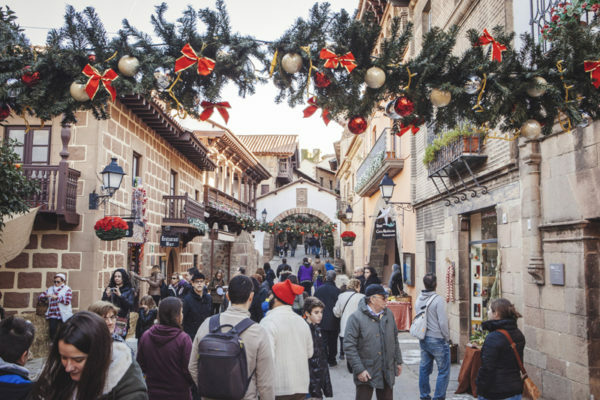 On Saturday, 17-00 with Plaza Real Square starts a procession of drummers. The crowd follows her into the incendiary dance. 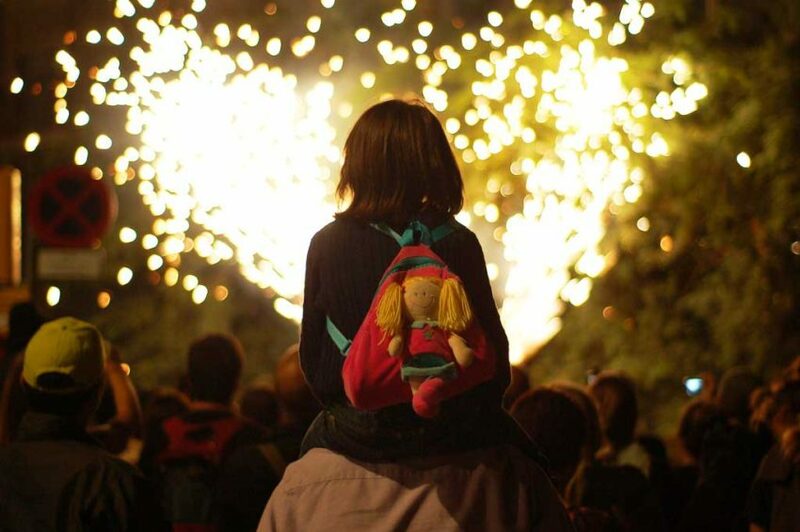 in 18-30 Correfoc will show the square Antonio Lopez (on which the post office Correos) for the little ones. In our 20-00 here will Correfoc for adults. Be sure to wear old clothes and close the head and hands. Only natural fabrics, synthetics immediately start to burn. You can buy a building mask, to close your eyes. Wear comfortable shoes as much as possible. Sparks jump under a running fire - unforgettable! The sea of ​​adrenaline and emotion! 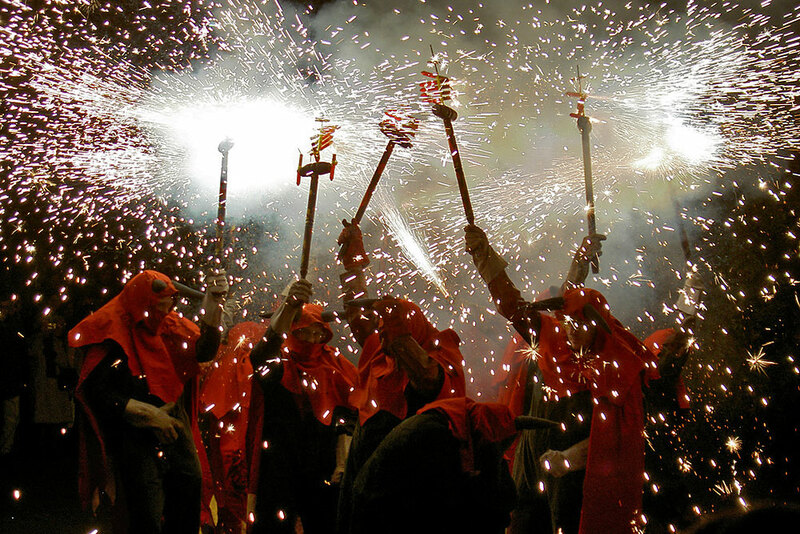 AT 22-00 will be fireworks on the beach, best it will be seen in Barceloneta. 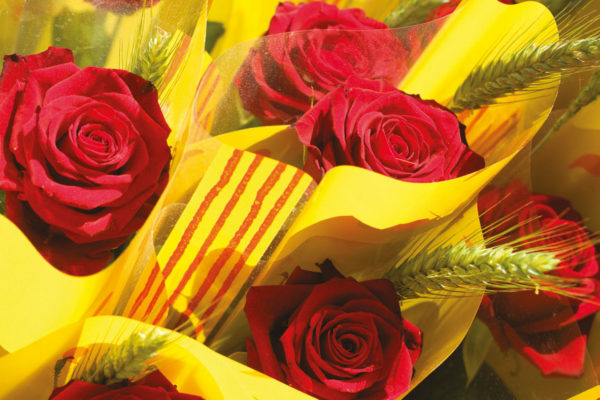 On Sunday 24 September at 9-15 morning since the beginning of Las Ramblas will march with the guns and the music in the direction of Sant Jaume Square. people, who are afraid of loud noises, better not to go here. 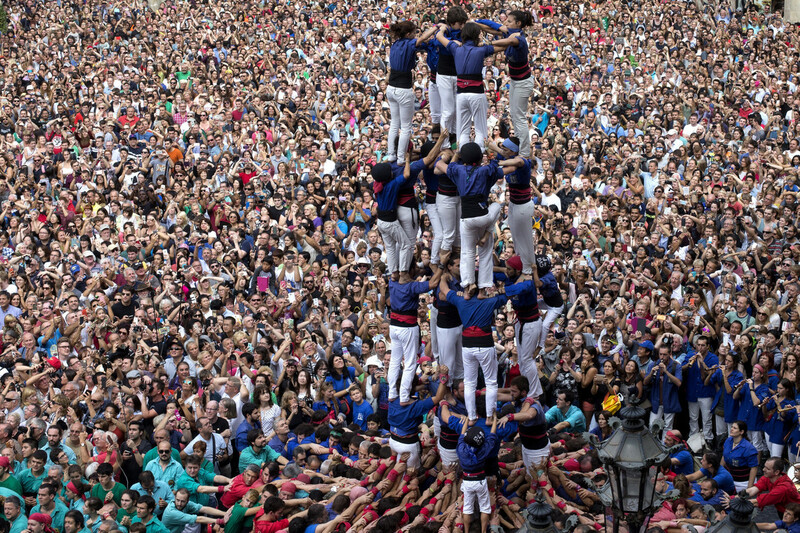 In our 12-00 will build a tower of people in the Plaza de la Mercé Square, and 12-30 на площади Plaza Sant Jaume. 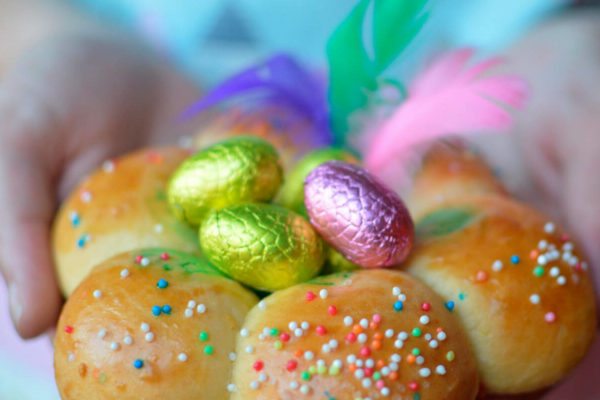 In our 18-00 will host a festive parade through the street Pelai. In our 21-00 and 22-30 It will be projected video-mapping on the facade of the house of Gaudi La Pedrera. 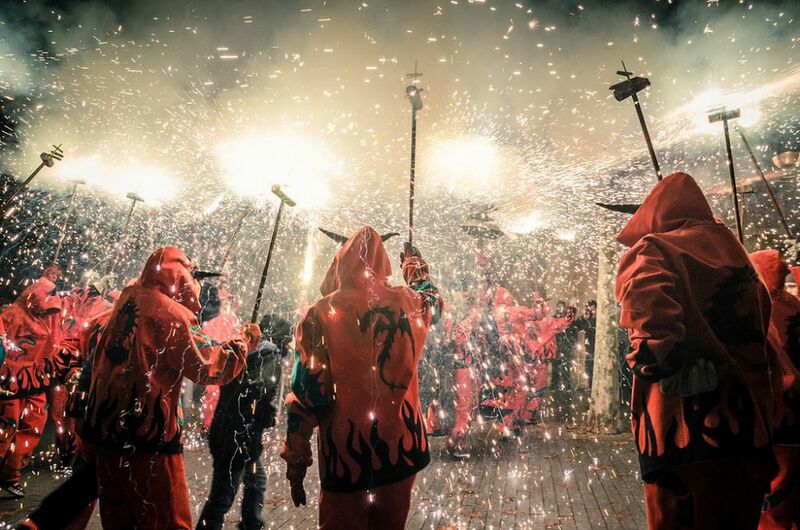 In our 22-00 will be fireworks on the beach, best it will be seen in Barceloneta. 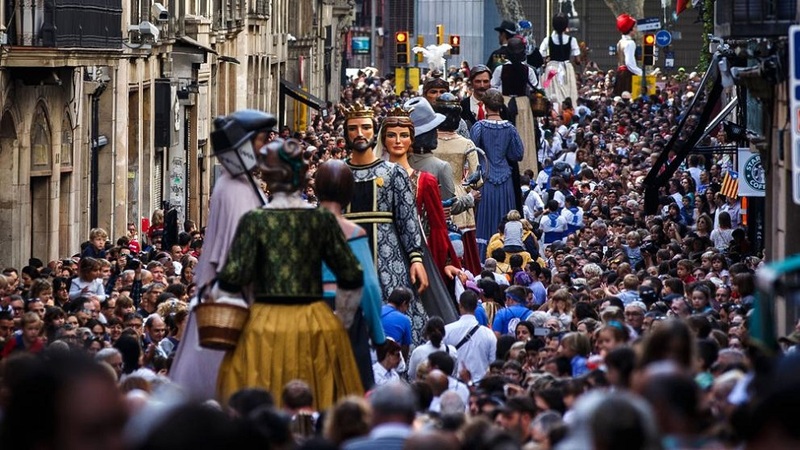 On Monday 25 September at 20-00 the final parade of giant figures from the square Plaza Sant Jaume. In our 22-00 España Square (Plaza Espanya) will take the final salute to the music. There is usually very crowded. From Saturday to Monday on the mountain of Montjuïc around Castell de Montjuic Castle will be the circus Reykjavik. Another venue for theatrical shows and entertainment for children and adults will park Parc de la Ciutadella Boulevard and Lluis Companys, which connects the park with the Arc de Triomphe. The musical program of events this year, too, is amazing. 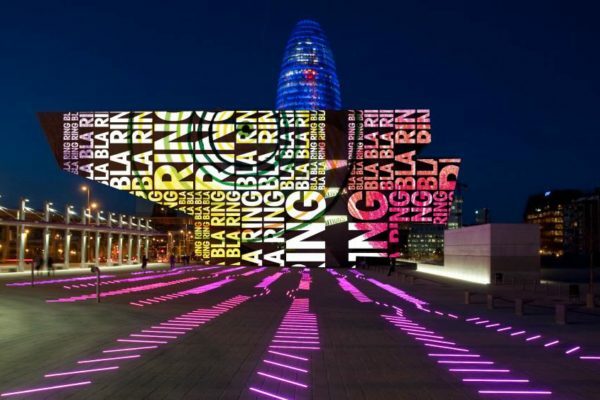 Will play concerts in the evenings on the square near the Macba Museum, Park Forum and the boulevard Rambla del Raval. The detailed program of concerts can be viewed HERE. 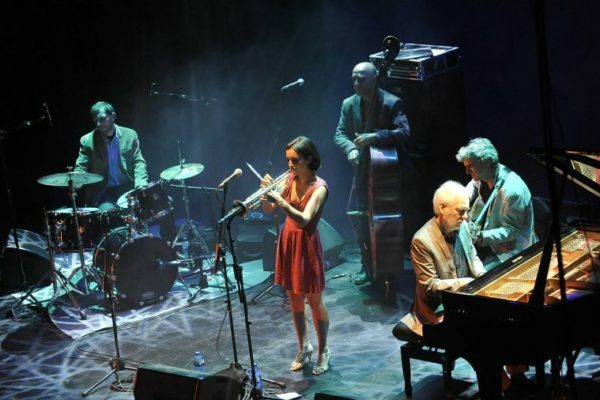 Concerts on the terrace of the house of Gaudi "La Pedrera"